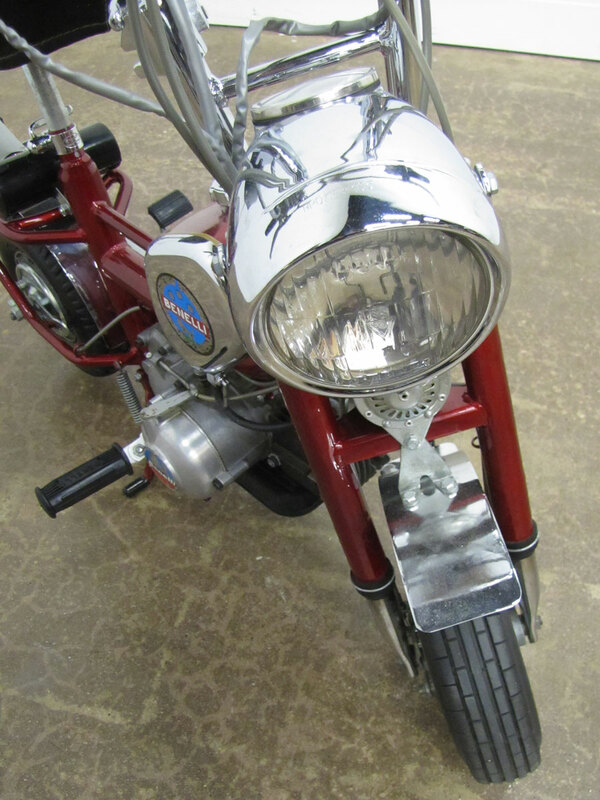 Before the early 1970’s there weren’t many light weight motorcycles with low seat heights. 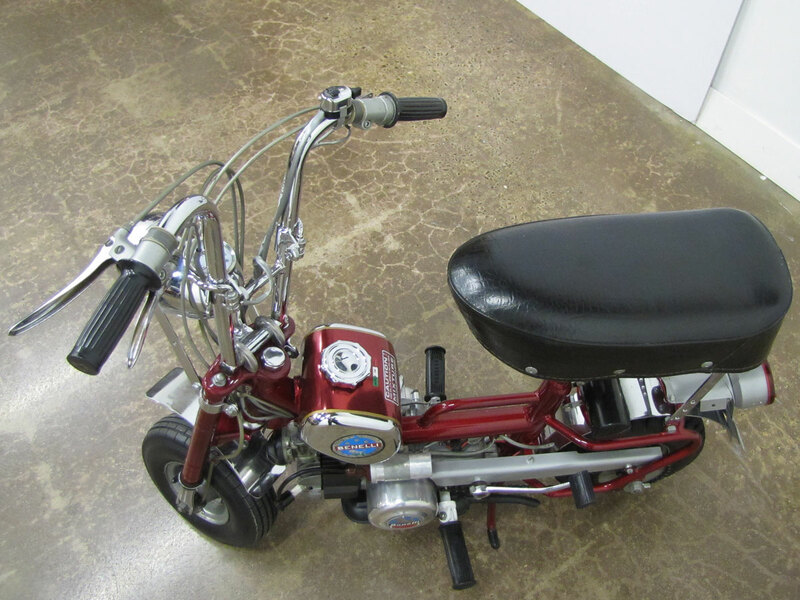 Even Hummers, Whizzers and most scooters had 25 inch or more seat heights, so kids had to wait until they grew to over five feet tall or so to learn to ride. 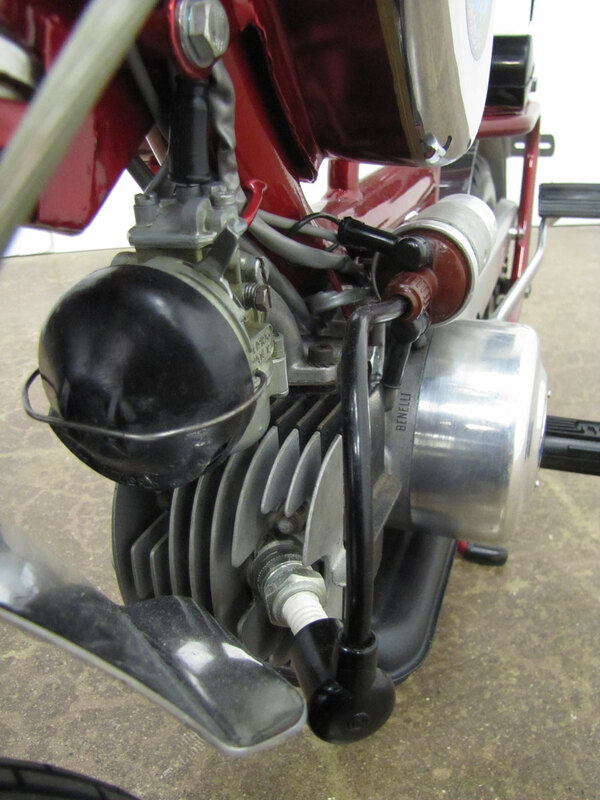 But backyard mechanics, sometimes aided by plans and kits found in magazines like Popular Mechanics, created small two-wheelers with lawn mower engines, belt drives or centrifugal clutches and kids could learn to ride these home-builts especially in rural areas. 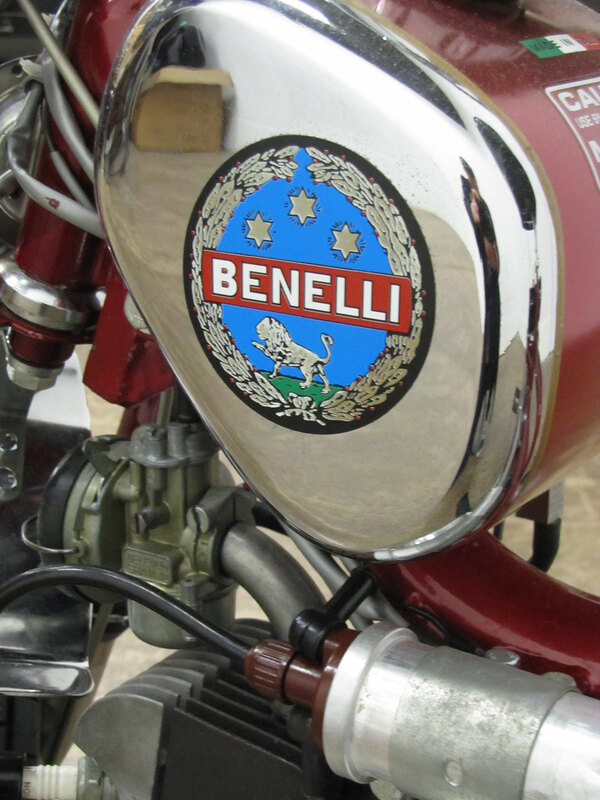 But some American and foreign motorcycle manufacturers saw the demand was strong and set about making fairly sophisticated machines sometimes with the small engines popular with very lightweight commuter motorcycles and mopeds in Europe. 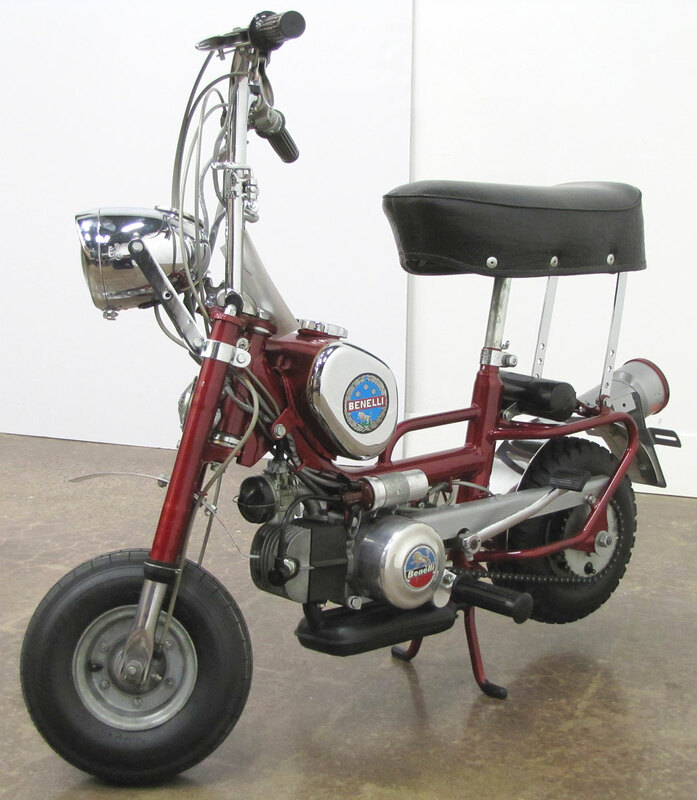 Montgomery Wards and Sears Roebuck were among the retail outlets offering a wide range of machines to young Americans looking to get out and ride on two wheels. 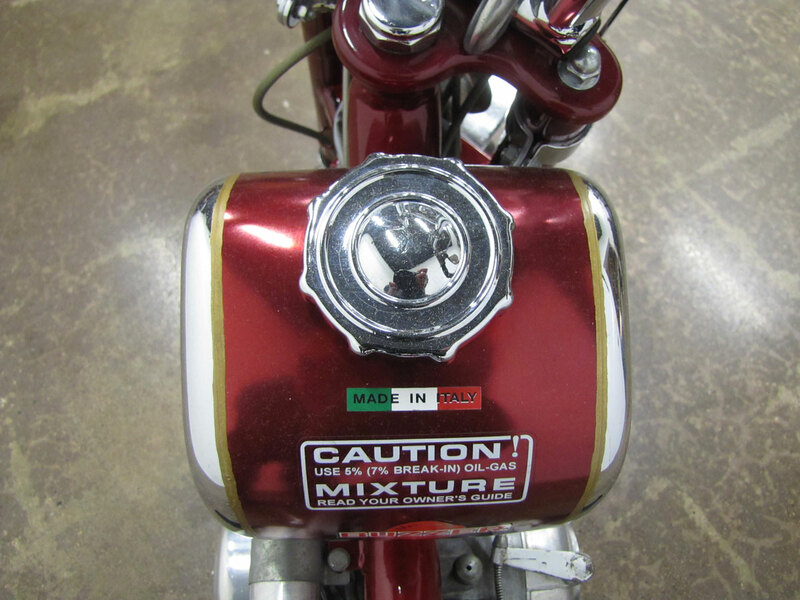 Many of the machines they sold were made to spec in Europe. 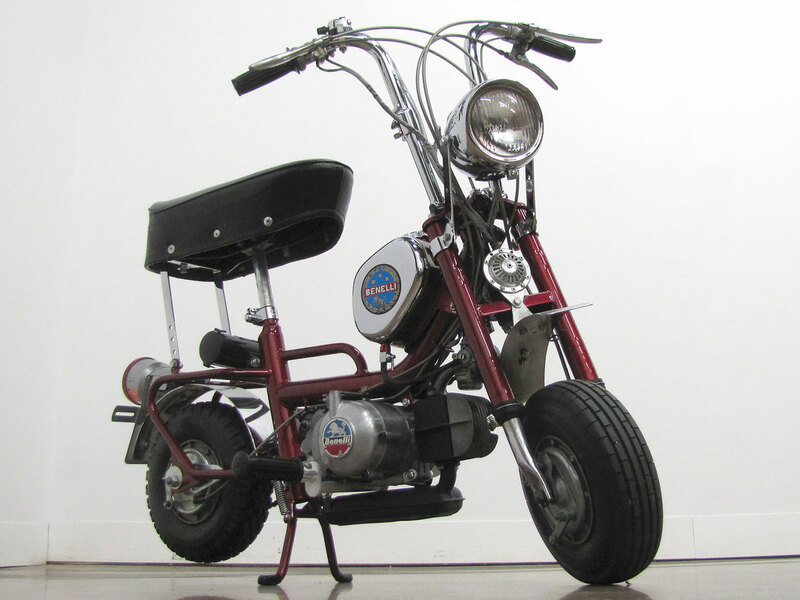 By the way, Honda lead the Japanese manufacturers with the popular Z50, but it didn’t arrive until 1968. 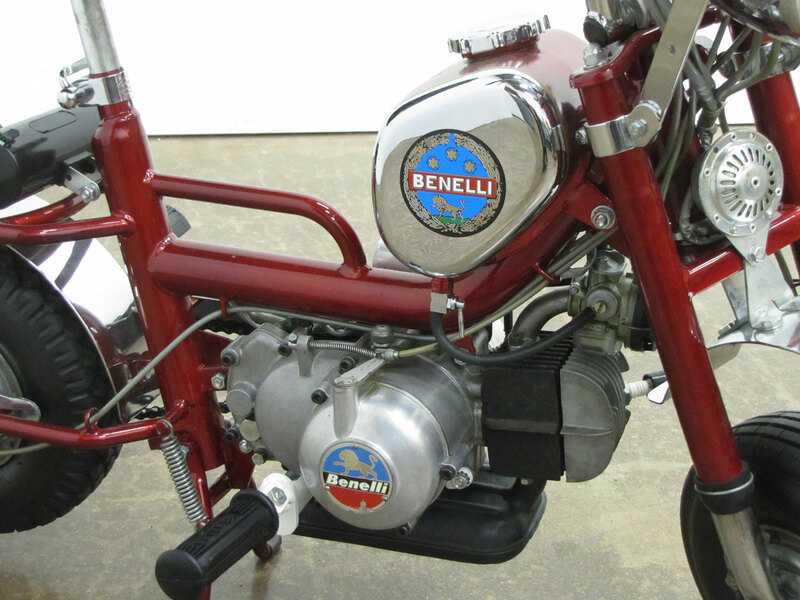 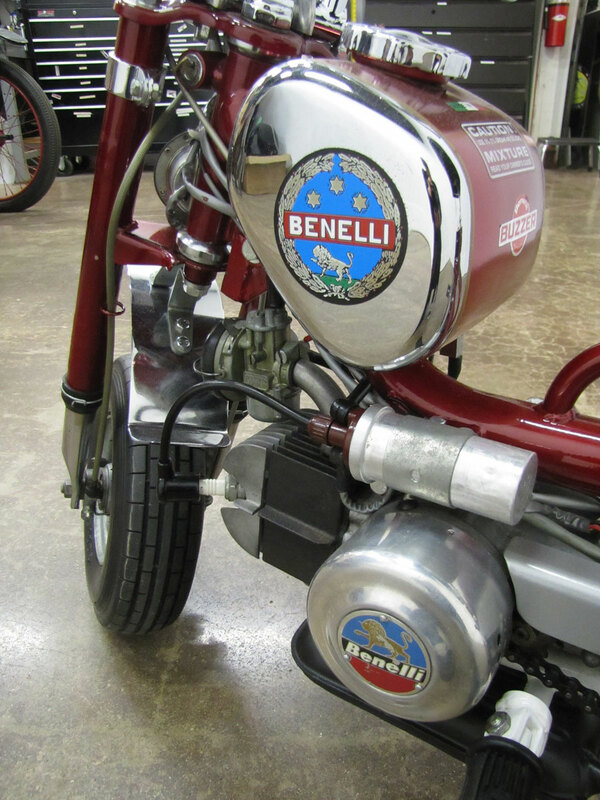 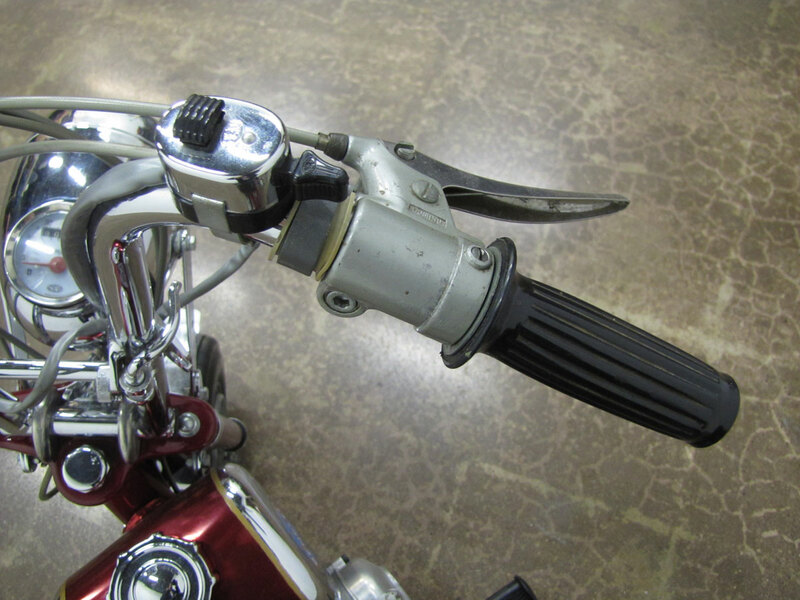 This 1969 Benelli Buzzer is one of about six Benelli models with various wheel, engine and frame sizes, single or multi-speed transmissions. 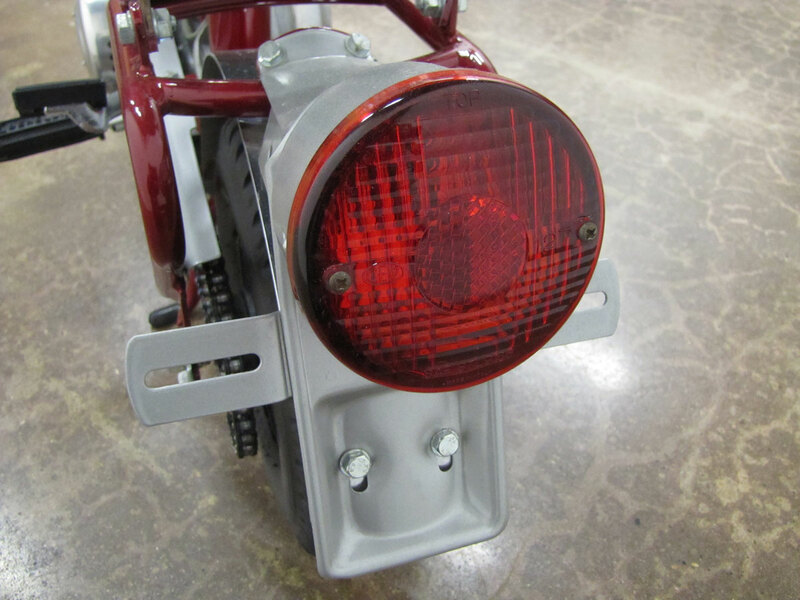 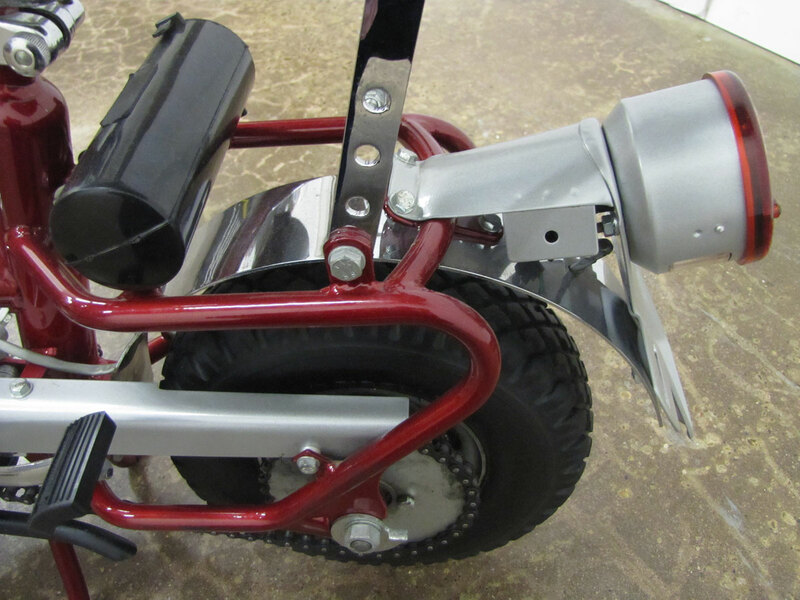 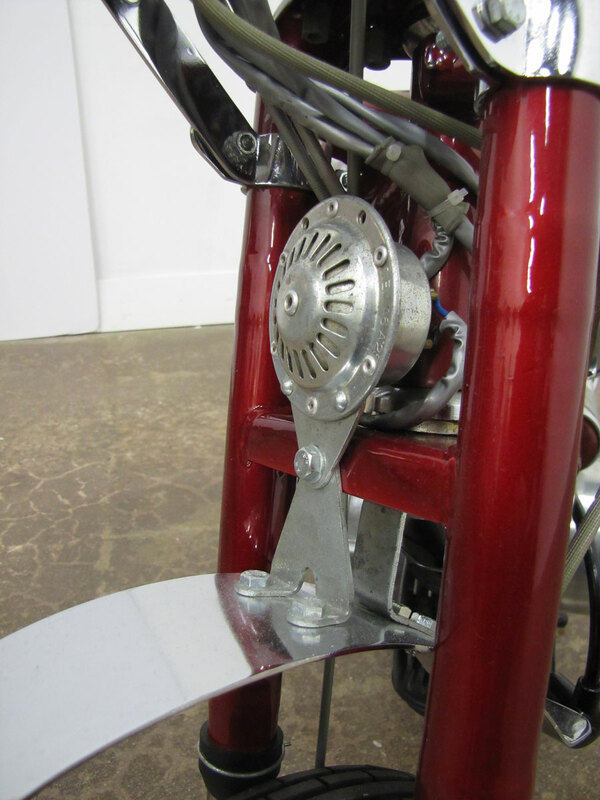 Where many home-builts and American made mini-bikes used recoil rope starters, the Buzzer has a kicker. 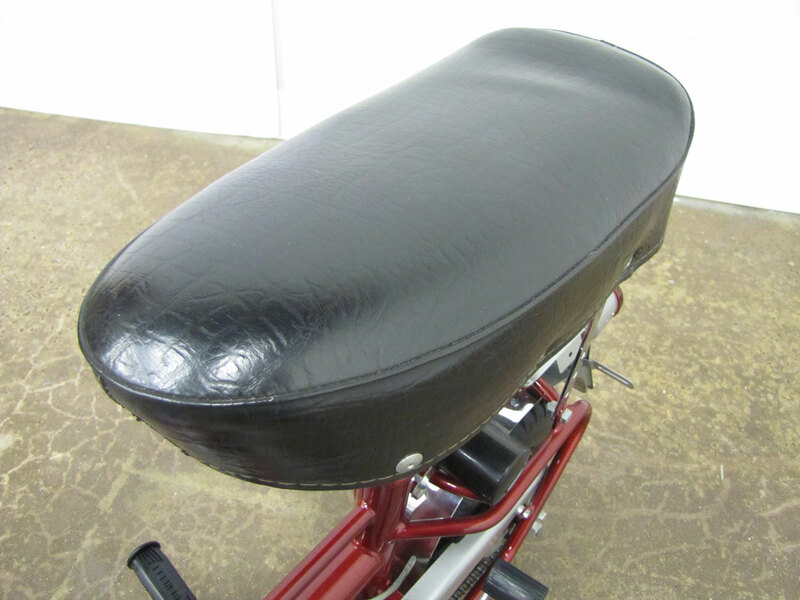 As kids grew, the seat could be raised, and even dad and mom could ride it as many were street legal and registered for road use. 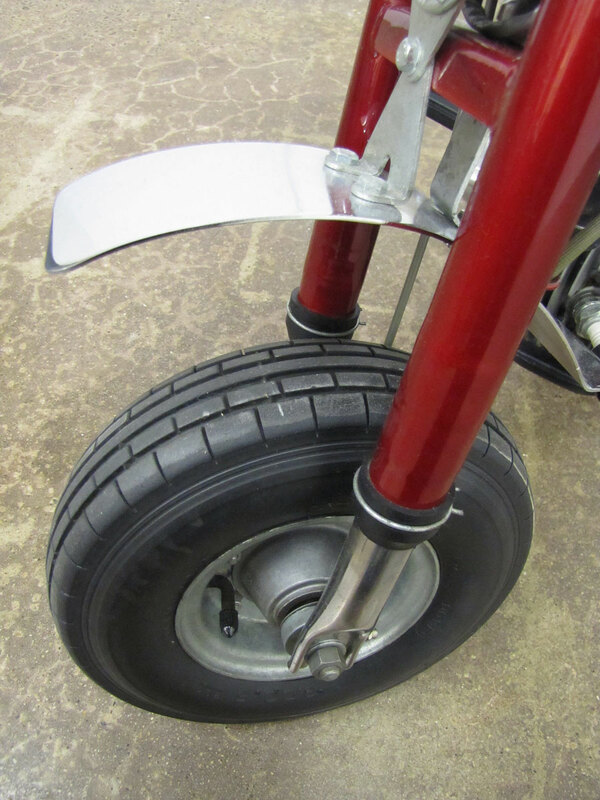 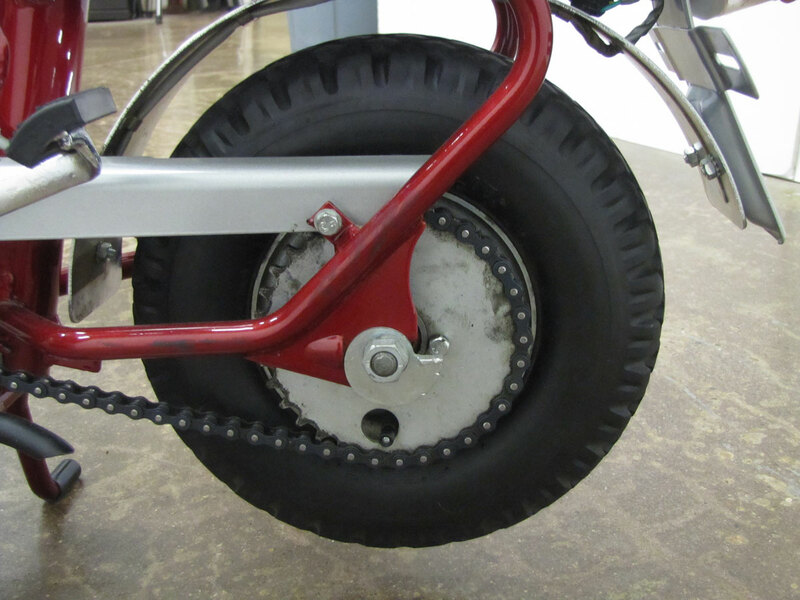 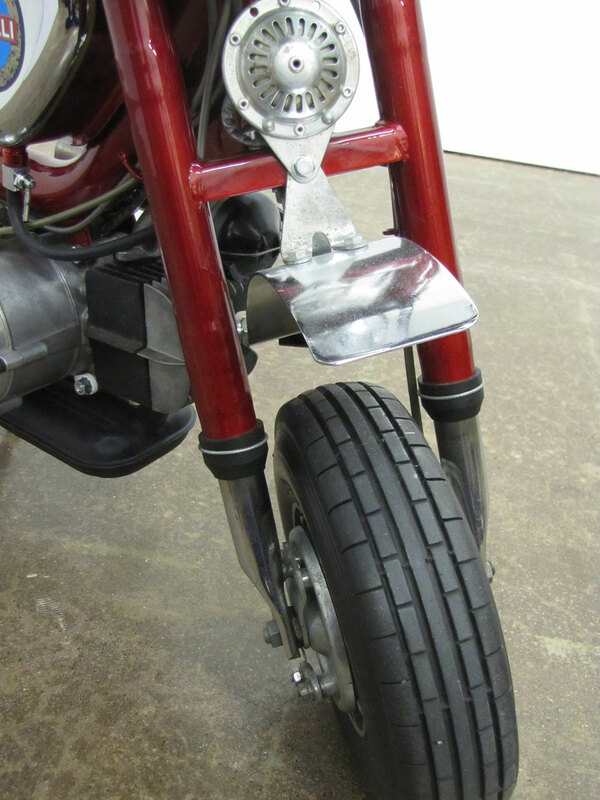 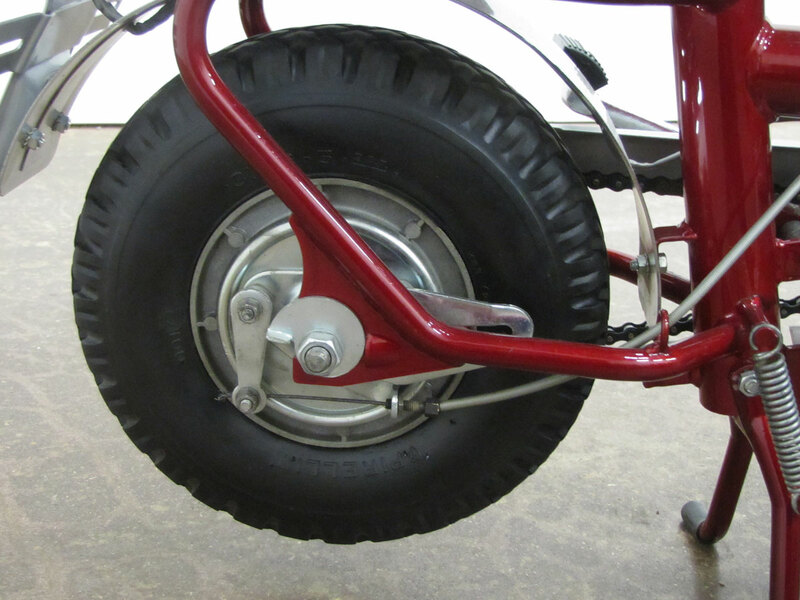 The Buzzer is equipped with single-speed transmission, automatic clutch, front suspension, a center stand, drum brakes, folding bars and foot pegs so it could lay flat in a car’s trunk. 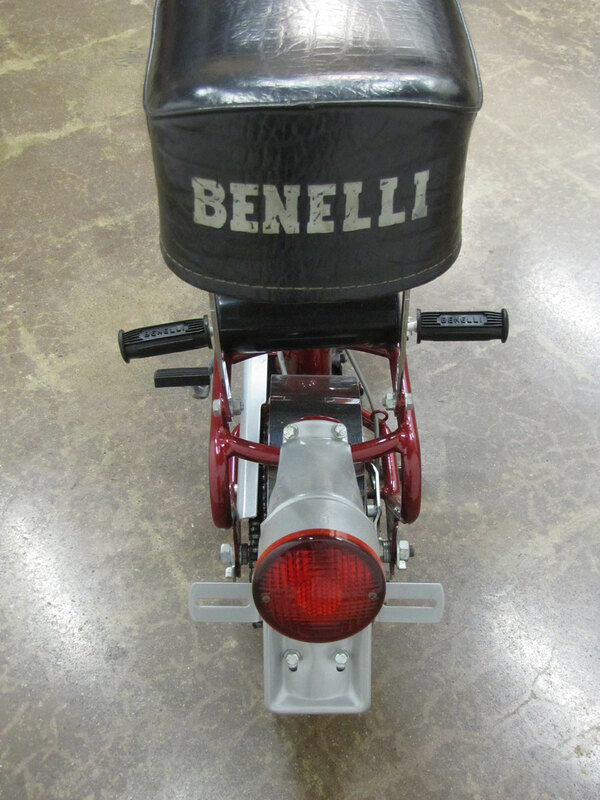 There’s even a speedometer, lighting, lots of chrome and candy apple red paint with gold pinstripes just like on big Benellis. 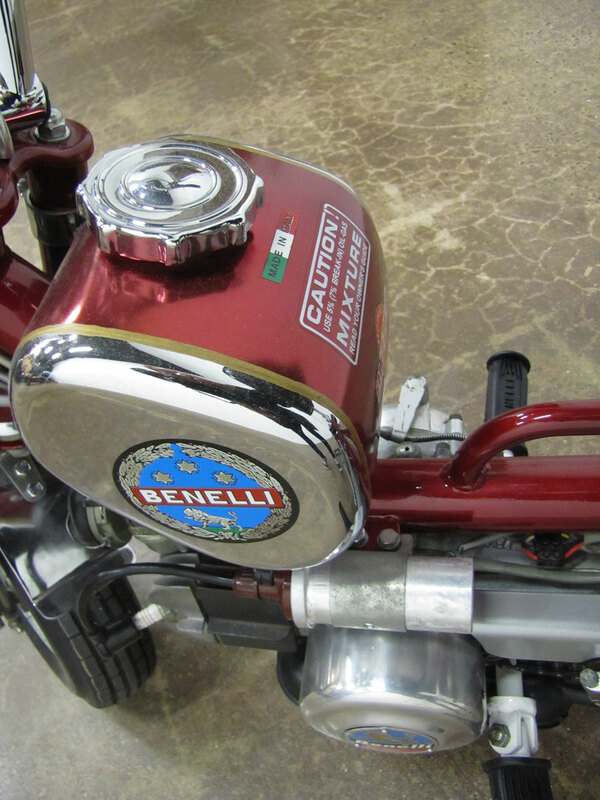 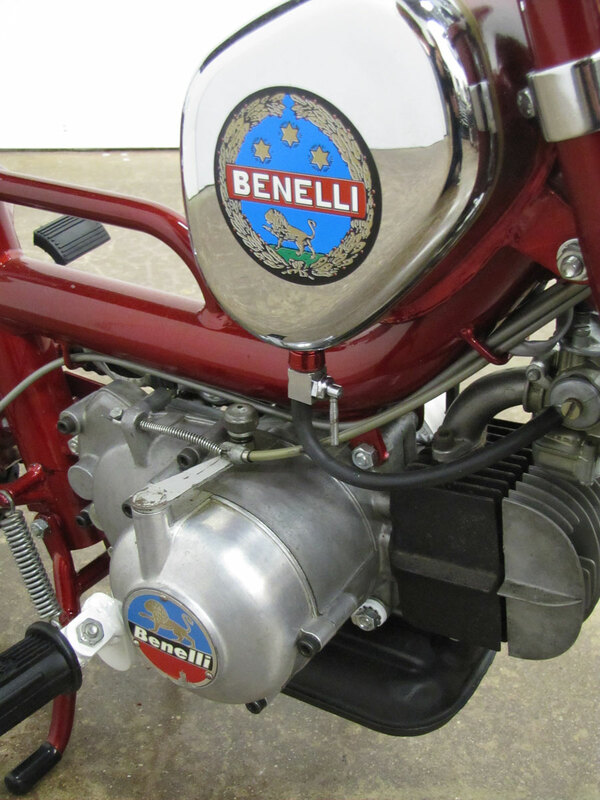 This Benelli Buzzer shines like brand new and is on loan from Daniel F. Bubb. 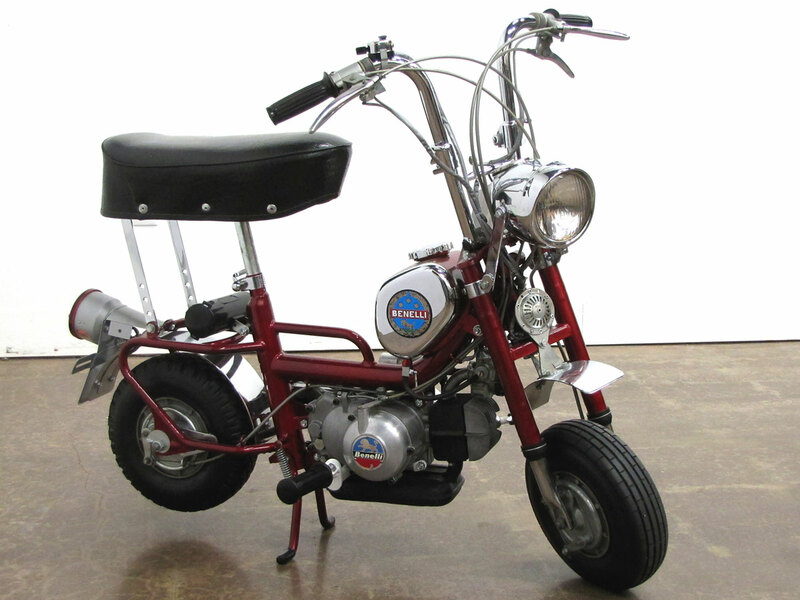 The Buzzer is displayed with other mini-bikes and scooters. 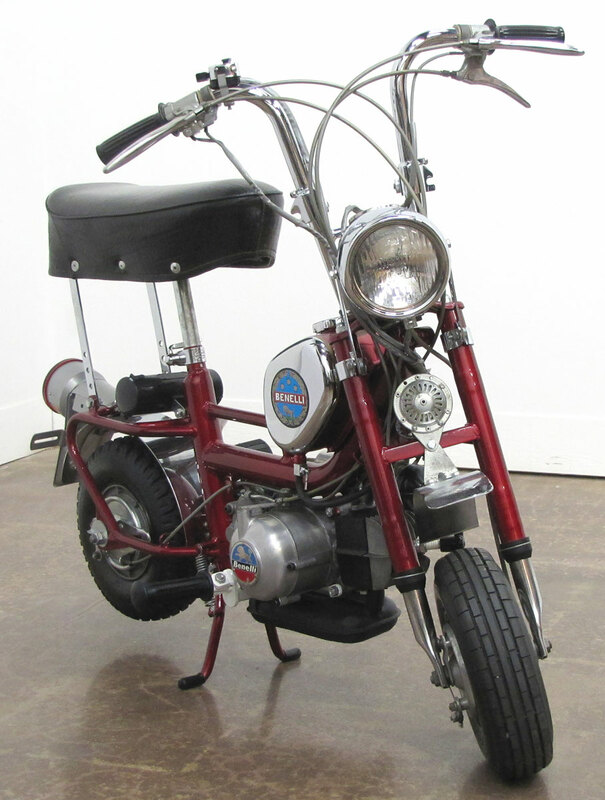 For its size it’s one of the best detailed small motorcycles in the entire Museum. 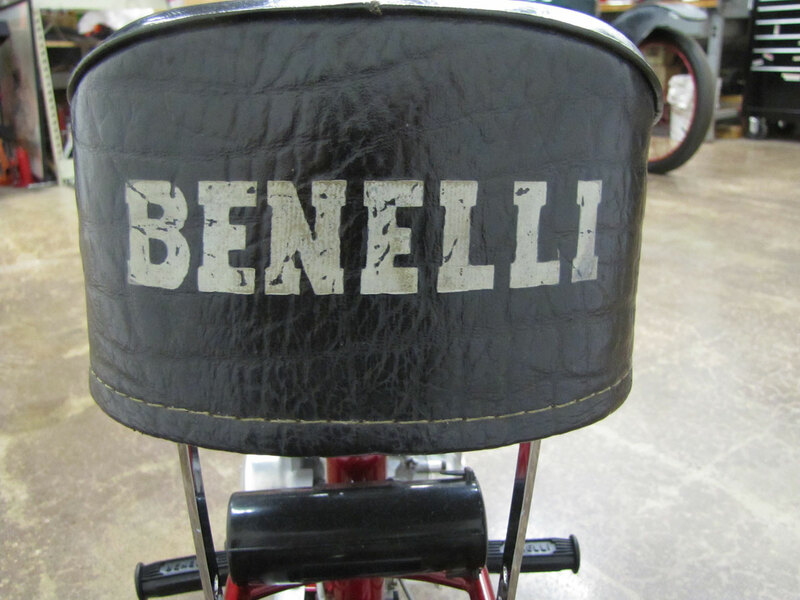 Just returned to the St. Louis area from visiting the museum (for the first time) and really enjoyed seeing your amazing collection of history! 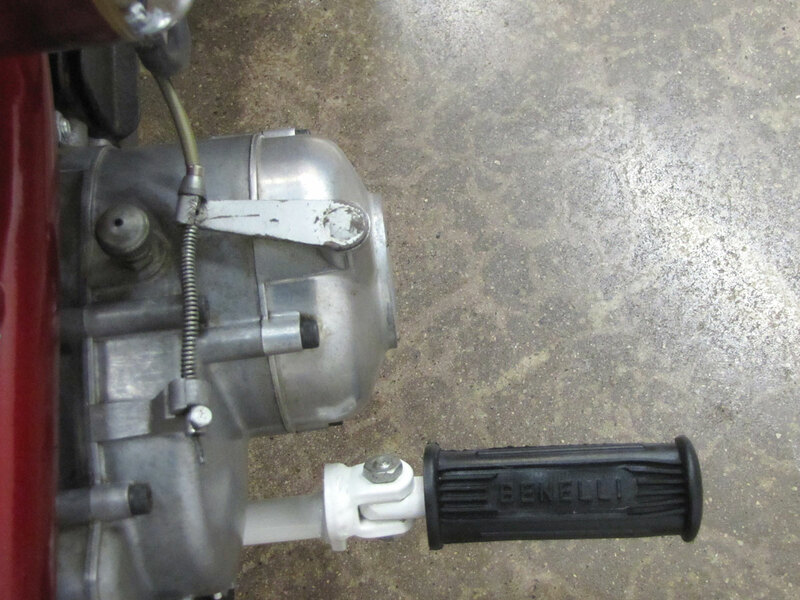 That included this Benelli Buzzer, which I had as a child, and it really brought back some good memories to see it and touch it. 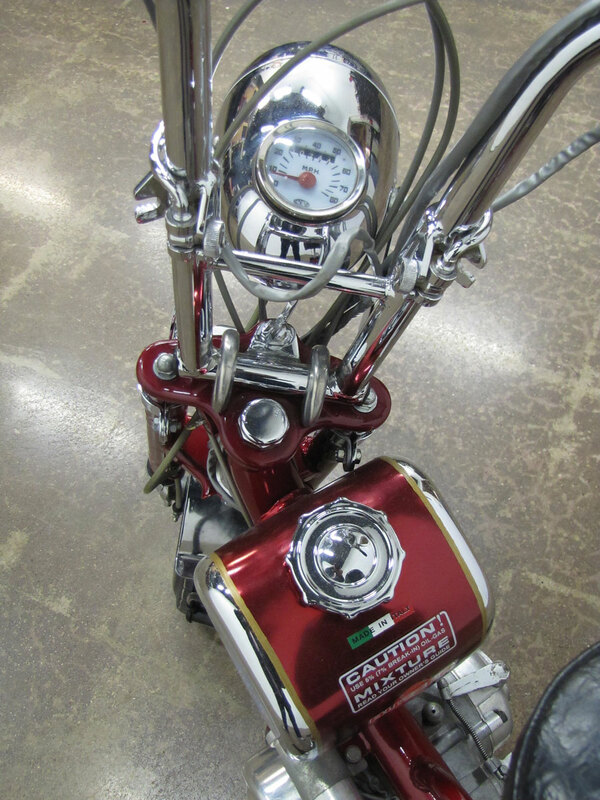 Also appreciate how helpful and friendly the staff members were. 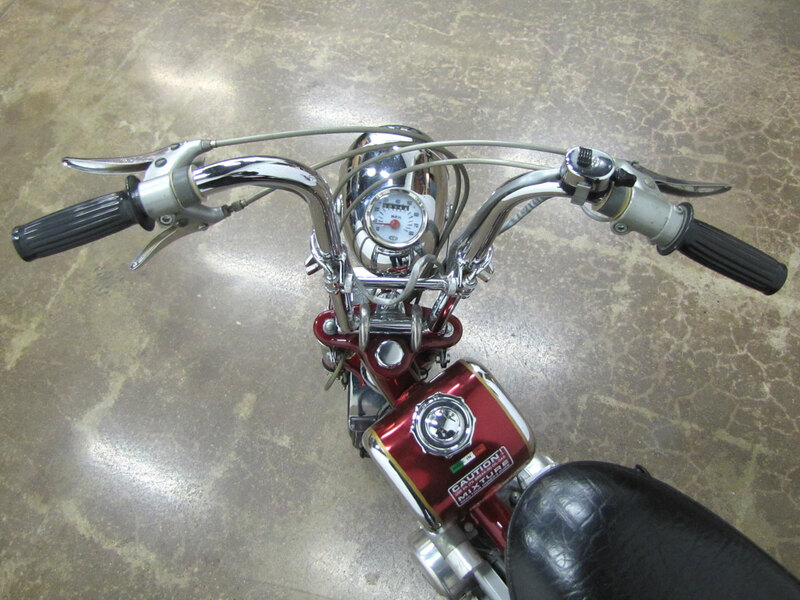 Thanks for a wonderful trip down memory lane! 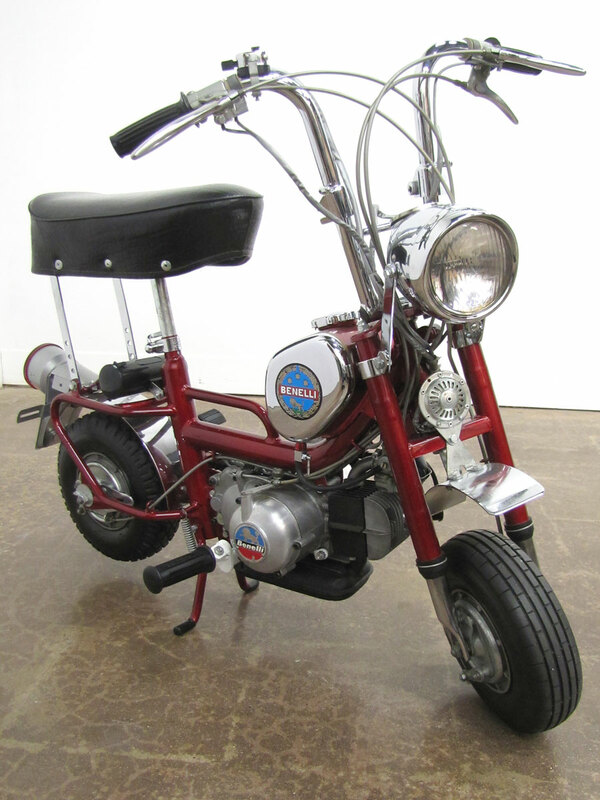 In the fifties there was the Doodle-Bug which was even earlier made and sold in the USA. 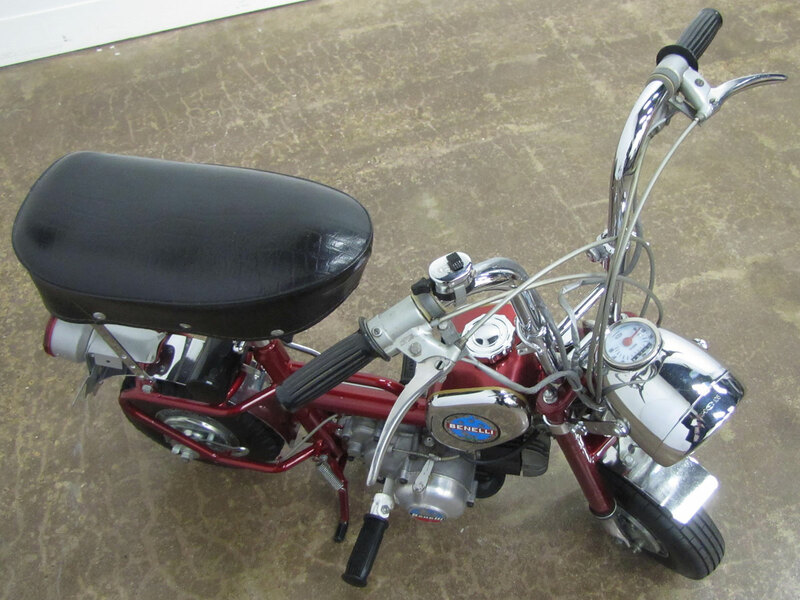 I had one in ’51. 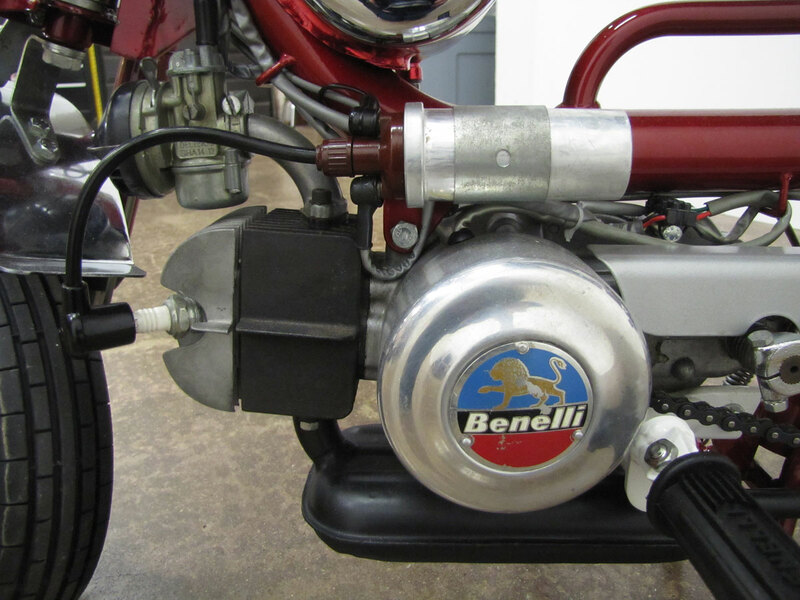 It had an automat clutch and ran well. 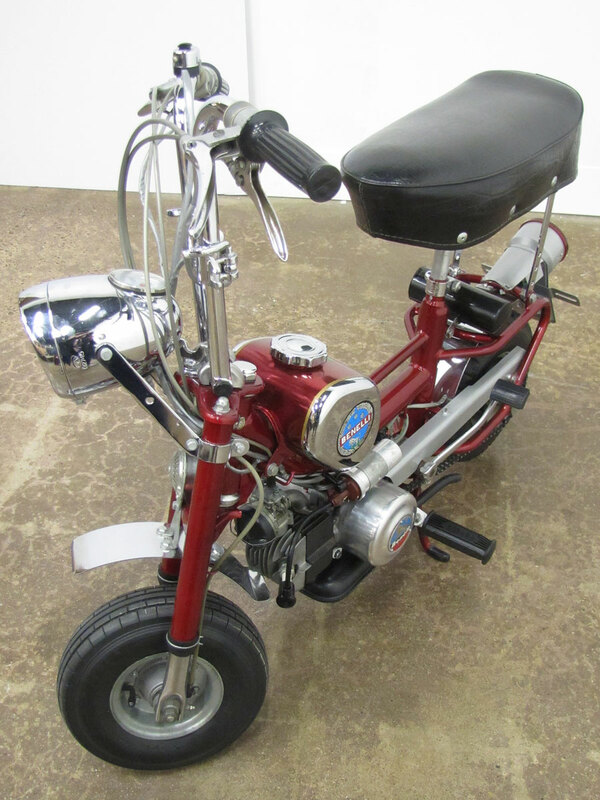 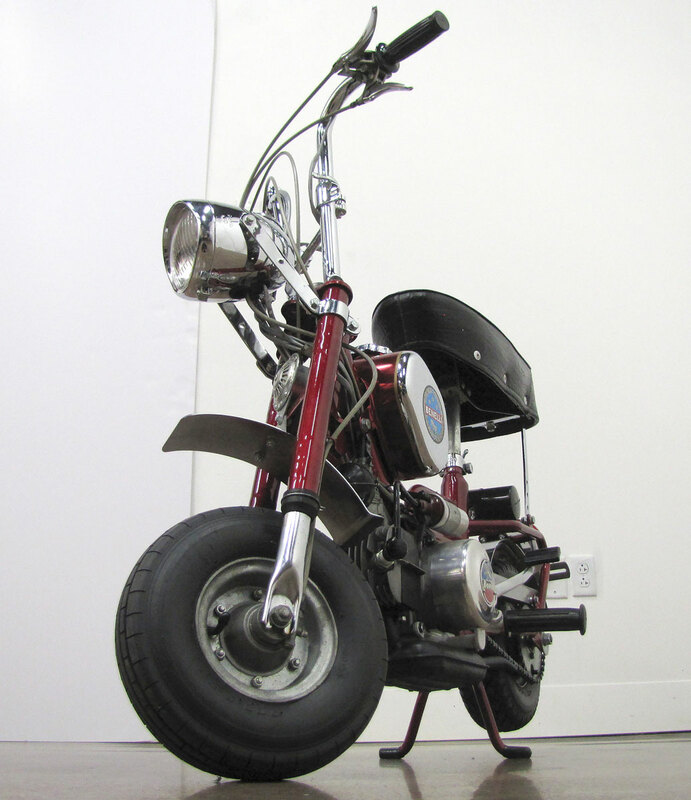 The Doodle Bug is a great mini-bike and was made in Iowa, as were the Argyle and Egley scooters. 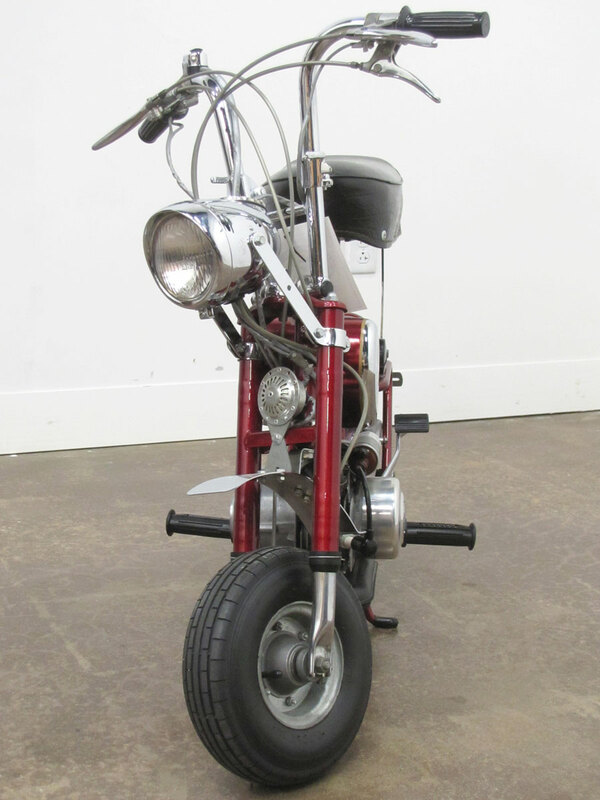 The Museum has a Doodle Bug and an Egley on display.